As you can see, I’m tinkering with some WordPress themes. I’m leaning toward building my own template, and moving to WordPress.org or even Movable Type, but for now, this template seems to showcase photos, nicely. 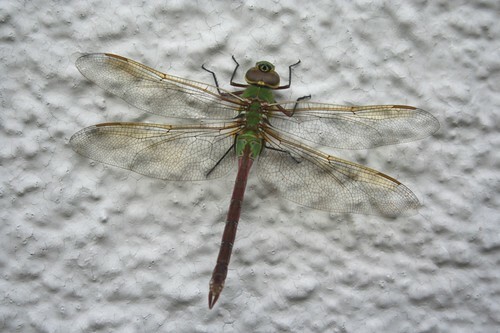 How about this dragonfly? Lately we’ve had a cool spell, and this beastie was resting on the wall of our house, the other morning. This technicolor, filigreed creature makes me feel so … boring. Great shot! I personally like the dark background of this format. It always seems to make the photos pop.